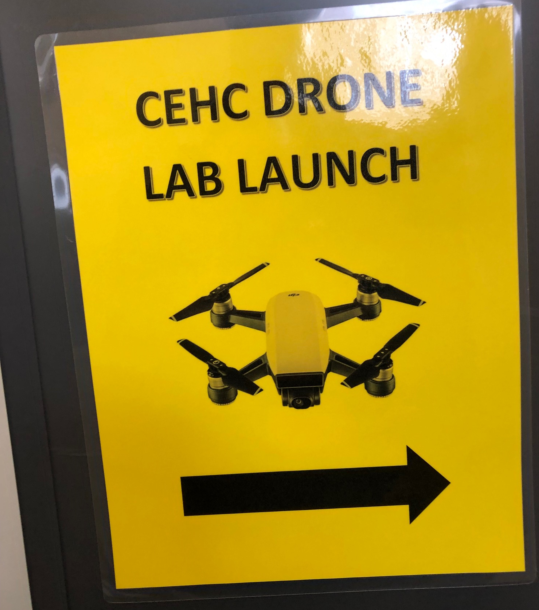 The University at Albany’s College of Emergency Preparedness Homeland Security and Cybersecurity has unveiled its new drone flight facility. Pieces of a drone take about an hour apiece to print and the entire drone takes about six hours. Drones on the work table at the repurposed Page Hall Gymnasium. 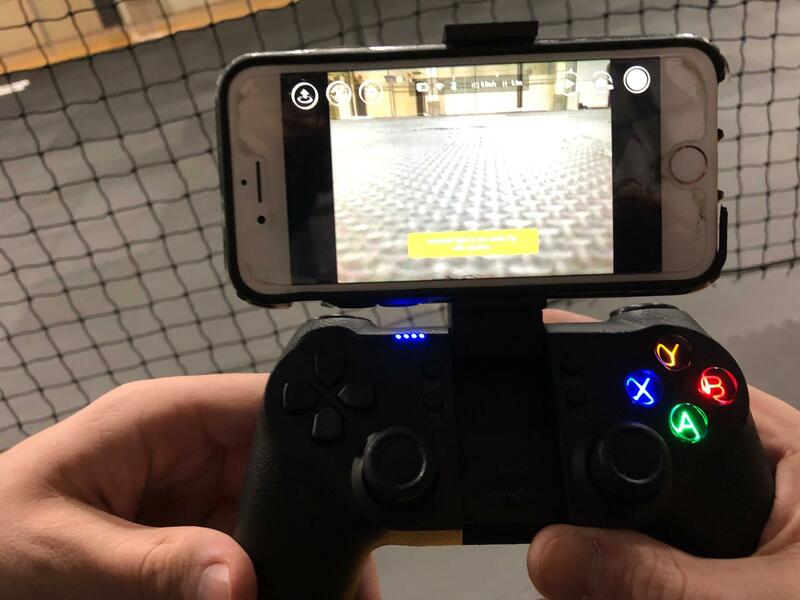 iPhone /controller unit and its drone. Sometimes reporters have drones. Here's mine! A former basketball gym on the downtown campus has been repurposed as a testing ground for unmanned aerial vehicles or UAV's, more commonly known as drones. CEHC Assistant Professor Brandon Behlendorf says when Page Hall first opened in 1929 its basement served as gymnasium, but it has been vacant for decades. "We've essentially taken a spot that hasn't been used in 40 years and we've woven into it emerging technology and the utilization of that technology for emergency response, security applications as well as new commercial capabilities and made it available to students here at the UAlbany campus. It excites me because we're in an age where technology is democratizing. When that happens, innovation happens both within and outside of a laboratory environment. What we're creating here is an opportunity for folks who have never experienced flying a drone, never experienced 3D printing a part or an application, and they can get their hands dirty in understanding the technology. And from there, what they innovate with it, what students come up with, the ideas that faculty can generate... who knows?" CEHC professor of practice Michael Leczinsky notes the new facility is cutting-edge. "We have fabrication and prototyping and design equipment. 3-D printing, laser cutters, vinyl cutting, digital design software, hardware, so we're printing out today pieces of a drone. They take about an hour apiece to print and the entire drone takes about six hours. We would then add a flight controller, a battery and propellers, the motors, and then we'd be basically ready to fly. " Several drones buzzed around in a net-enclosure on the gym floor. 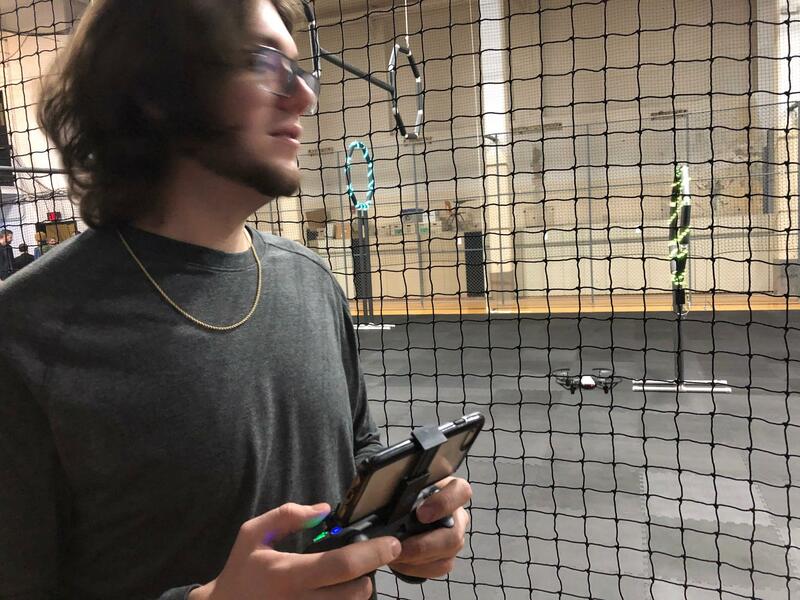 Cal Rhodes, a senior studying cybersecurity at UAlbany, pilots his drone via smartphone. "This is our drone setup that we got right now. It's controlled by a Playstation 4 type controller where you've got bumpers on the back, and then buttons on the front and a D-pad and two joysticks. And then you connect your iPhone or Samsung or whatever phone you have via WiFi, and then you are also able to connect the controller using bluetooth with your phone. So all three are synced up: phone, controller and drone." The indoor facility means no worries about wind and weather and no need to notify authorities that drones will be taking to the air. Hannah Hage is taking a course on Drone Law and Legal Ethics as part of the partnership between UAlbany and Albany Law School. With millions of drones already in circulation (and many in the hands of hobbyists) she says the legal ramifications surrounding outdoor drone flight are still being sorted out between states and the FAA. "It's hard to say if they will allow individual state and local governments to implement laws regulating drones. And there are of course arguments to be made on both sides. Both sides have very good points and I can see it going in either direction. To be honest it's a little too soon to tell. The FAA has already begun regulating. 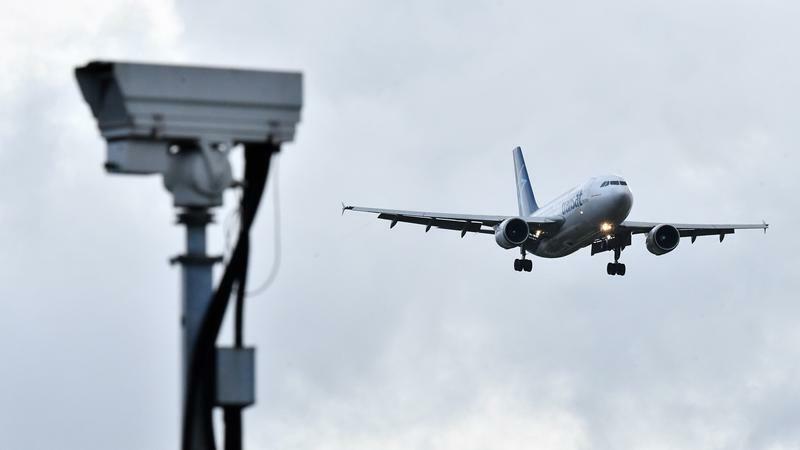 That's why you have to register with the FAA, you need to let them know when and where you'll be flying, you know a number of things, just for the safety of our airspace." The drone facility will be open to emergency services and first responders for training. CEHC Dean Robert Griffin says the lab supports three main user groups. "Obviously our students are one of them and for students who are participating in our applied technology courses the idea of combining our 3-D printing courses with our drone development courses. Our homeland security students are interested in it because it is fundamentally going to change both risk and threat and opportunity for homeland security. And our emergency preparedness students are looking at this as a technology that can change how we actually respond to disaster. Which brings in our second group, which is the first responders. In fact we've already had first responders from the region in, working in this facility, receiving training on drones and we really view this as a first step in teaching our regional firefighters, paramedics and police officers how to use this technology so they can think about operationalizing it. And the third group is our industry partners, because we see this as the potential hub for growth in the Capital Region of a whole drone industry."